A smaller holiday cottage agency, with a good choice of holiday cottages. Best of Exmoor has holiday cottages around Dorest and the south coast. We've got some holiday cottages from Best of Exmoor to tell you about here, or for the entire list of new cottages, you can see the new cottages from Best of Exmoor below. 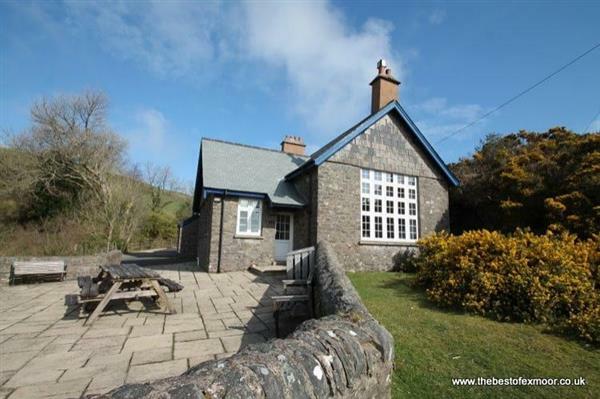 There is one holiday cottage to bring to your attention this week, and that cottage is: "The School House in Countisbury". The School House in Countisbury - The School House sleeps 13 people, and can be found near the North Devon coast in Exmoor. The School House in Countisbury is also pet friendly.